2. If you have missed payments, get current and stay current. 3. Be aware that paying off a collection account will not remove it from your current credit report. 4. If you are haveing trouble making ends meet, contact your creditors or see a legitimate credit counselor. 6. Pay off debt rather than moving it around. 7. Don’t open a number of new credit cards that you don’t need, just to increase your available credit. 8. If you have been managing your credit for a short time, don’t open a lot of new accounts too rapidly. 9. Do your rate shopping for a given loan within a focused period of time. 10. Re-establish your credit history if you have had problems. 11. 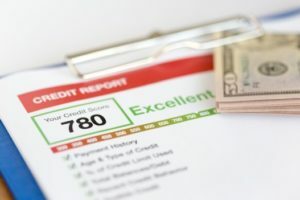 It is OK to request and check your own credit report. 12. Strive to use less than 30 percent of your available credit. 13. Apply for and open new credit accounts only as needed. 14. Have credit cards, but manage them responsibly. 15. Note that closing an account doesn’t make it go away. Information courtesy of James Petty of Regions Mortgage.